Edition of 1209 of which 300 copies are signed 1-300, 26 are signed A-Z as artist's proofs, and three sets are signed as progressives. 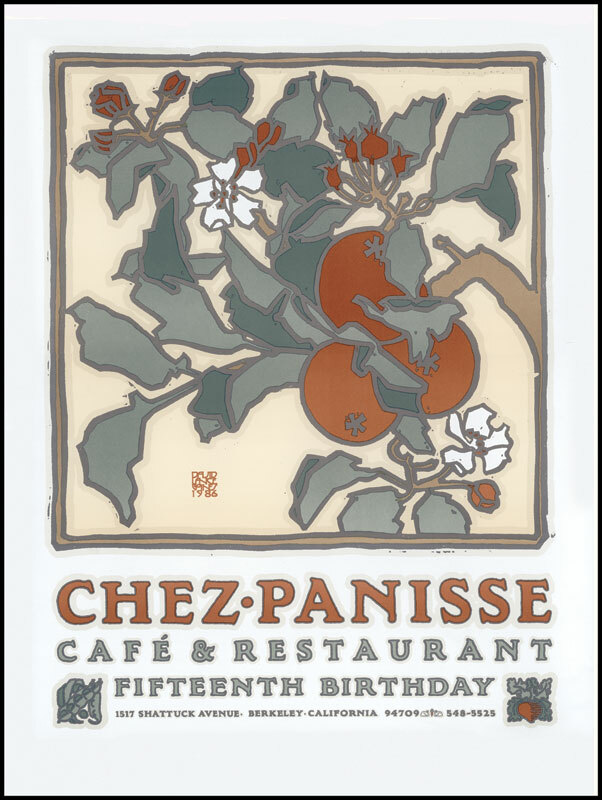 August 25, 1986 7 colors 18" x 24"
Punica granatum, the leather-skinned, many-seeded Punic apple, is of the utmost antiquity. It is referred to in the Old Testament, and in the Odyssey is spoken of as cultivated in the gardens of kings. The fruit is commonly represented in Assyrian and Egyptian sculpture, and had a religious significance in connection with the cult of Cybele. Persephone, because she ate six jeweled seeds, was compelled to spend half the year in the underworld, while above her the world of Men languished in the grip of winter. Pomegranates were served at marriage banquets in Assyria and Babylonia as a symbol of fecundity. Indeed, it is difficult to eat a pomegranate without entertaining wildly sensual thoughts. When Eve reached out for the Fruit of the Tree of the Knowledge of Good and Evil, this is likely what she held in her hand. She tore it open, revealing its myriad gem-like seeds. Astringent juice staining her lips a brilliant scarlet, she realized just exactly what she'd been missing. "Adam, honey? Come over here a second. I've got something for you."